I'm sure you have noticed by now that trays are one of the hottest new ways to accessorize. So, I'm jumping right on that bandwagon today with a little tray makeover. I scored this tray for a few dollars last year after Christmas. It started out a shiny, emerald green. It was way too much for my liking so I sprayed it silver. Looks ok in the picture right? Well, in real life it is splotchy and just not what I was going for. So I gave it a second makeover. I sprayed it with gloss white spraypaint. Added some chevron fabric to the bottom (I didn't use anything to adhere it, I just laid it there so it can be changed out down the road). Then, I took some glass from a free frame I had in the garage down to Lowe's and had them cut it to the dimensions I needed. They did it for FREE! The glass protects the fabric and allows me to use it for serving as well as many other things. In the future I may switch out the fabric for some fun wallpaper or even wrapping paper. Total cost = FREE because I had everything on hand. Now that's the kind of makeover I like. This is too funny. 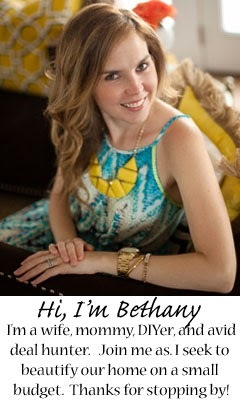 You have to see my post today. 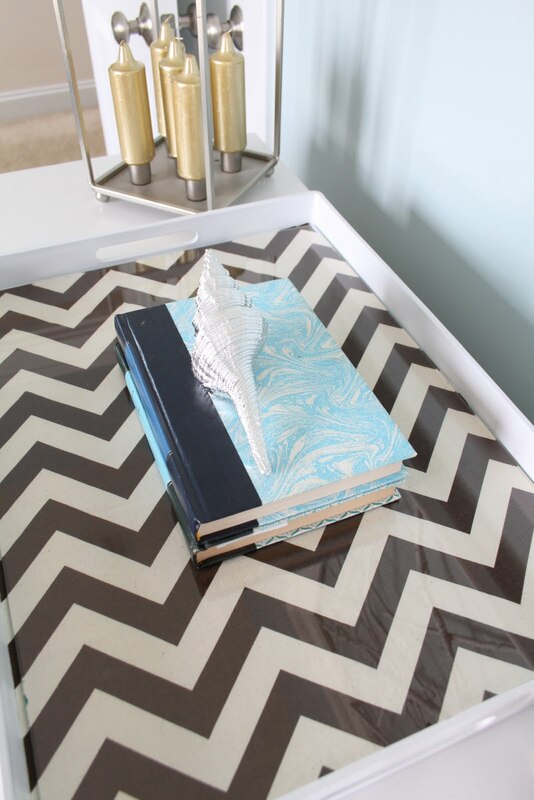 http://jandjhome.blogspot.com/2011/04/chevron-tray.html. Yours came out so much better! Very neat, love how you used the glass with it! i found this same exact green tray at my local thrift store for $0.75! I painted it white, but it's still a bit bland. I may have to add some fabric! what a simple idea! i'm linking your post to my blog! Awesome! i am posting a tray that I actually painted myself and used tape. lol it was fun and I need to just sand now, but your way was so much easier. thanks for sharing. It will post tomorrow.